Modern Video Conferencing Systems Can Be a Money and Time Saving Asset For Your Company If You Choose The Right Gear. There are some fantastic set ups out there in the video chat world. 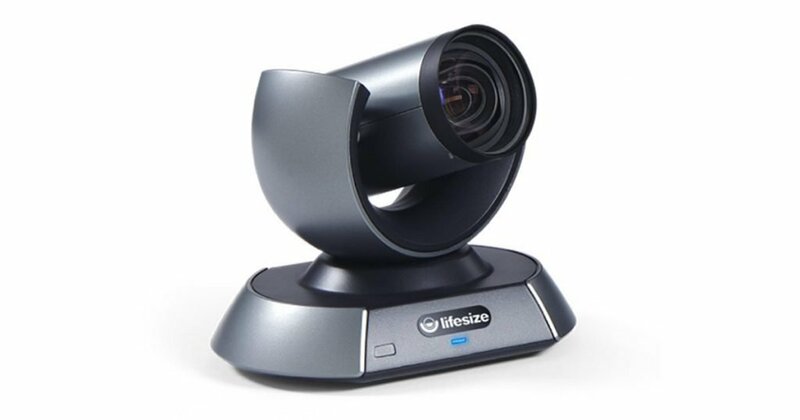 Lifesize has taken remote conferencing to new levels recently, especially when you compare the options available now to what was around ten years ago. These days you can find a combination of equipment and software for pretty much any type and size of business. One of the problems with having so many options is knowing which one best fits the needs of you and your company. The new Icon 700 camera is all well and good, but 4k resolution is a far stretch past the normal needs of a small business, and even some larger businesses as huddle room meetings become more popular. If you’re only talking to freelancers or remotely updating a corporate office by yourself you might only need a decent laptop or chromebook. But most growing businesses tend to fall somewhere in between, especially if there’s going to be any kind of project updates with complex information or presentations in general. So what VA equipment do you need, and how do you figure out what fits those needs best? Fortunately, there are people who can help you make these kinds of decisions and implement the technology. In the meantime, we’ve put together a quick guide you can follow to get an idea of what you’ll need based on the size of the rooms you’ll be using, and how many people will generally be involved. Obviously this guide is not a rule of law. You can mix and match this kind of equipment to suit the specific needs of your company, so it might be helpful if we dug into exactly what all this equipment is and what you can do with it. Audio is tricky for a lot of people because you can’t immediately tell if you’re coming through well on the other side. The safest thing to do is get microphones designed for conferencing, which will usually have some kind of 360 degree pick up with decent noise canceling. We’ll start with the Phone HD, because this thing can be set up to control almost everything else involved in your conference call system. Besides being a microphone, you can use this to make calls, add other people to the call, and control the pan, tilt, and zoom of any Icon camera you set up with it. No matter what size your meetings or what you need to do in those meetings, this is a great tool to use to keep everything consolidated. Unless everyone on your end can fit around a small table (so we’re probably talking past the 5 or 6 person mark) you need to start looking at extra mics, otherwise you’ll have people leaning across the table to say something or just not being heard at all. The Digital Micpod is designed to sync with the Phone HD, and allows more people the ability to speak and mute their end as they need to. Things can get tricky when you graduate past the single person in front of a built-in webcam. The more information and people involved in a meeting or presentation, the better camera you’ll need. Here’s a rundown of the stuff you can get from Lifesize. 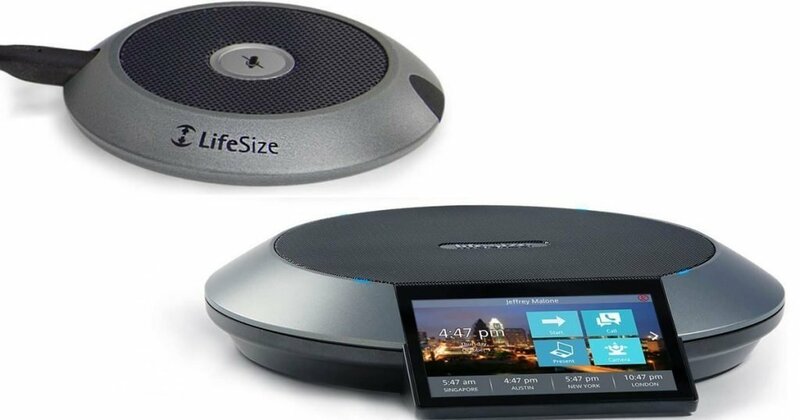 For the most part they offer pretty expansive all-in-one solutions that scale well to the size of your conference room. For a lot of things in a 2-person meeting you might be able to get away with the camera in your laptop or chromebook, but you will always be fighting against the constraints of the angle and lighting. The Icon 450 is the basic low cost option that gives a couple people room to move in a video conference. The lens captures almost 90 degrees, so you won’t have to crowd around the camera, and you can pan and the zoom the camera so you’re framing just what you need. This only supports a single display, so we’re still talking a simple set up with either a computer monitor or TV, but it’s a big step towards maintaining a professional look. The first of the Lifesize cameras that allow for dual monitor integration. It doesn’t necessarily need to be used in a giant room, but it can’t really stretch its long zooming legs until you give it around 500 square feet of room to work with. The main pull of the Icon 10X is that you can maintain a video feed of yourself or your team members while simultaneously displaying other content for everyone in the conference on another screen. It also allows for a larger range of audio integration with the 2 audio outputs, so more people can get involved in the same room. This is a good option for round-table sized rooms, along with the Icon 600 system (which we’ll get into below) and the Phone HD. For both small and large conference room meetings, very high resolution, expansive movement, and versatility in where it can be installed will all make your business life significantly easier. The Icon 700 is top of the line with video conferencing equipment. This kind of gear is about setting up ahead of the technological progression and making things look and feel as professional as possible. And while this would probably be ideal for large scale meeting rooms where you might need to have people in focus as much as 30 feet away, this equipment can handle close quarter meetings just fine. You just have to make sure the room itself looks nice, because this thing makes a pretty clear picture. Once you have multiple devices, cameras, and mics, one of the biggest problems to getting them to work is getting them to work properly together. Conference systems are designed to streamline this process by giving you a place to plug most everything into, sync it up, and give you a central place of control. If you’re mostly working on your own, or need to set up smaller huddle-room style meeting places, software like Lifesize Dash probably offers the cleanest and easiest solution, especially if you’re a fan of Chromeboxes. Basically, this software lets you turn Google’s Chrome hardware into streamlined video conferencing technology. You can use this to connect Lifesize or third-party cameras and mics up to your Chromebox and control it all from a tablet-based interface. This is probably the easiest most cost effective way to take advantage of hardware you already have and bring it all together into a professional-level conference calling set up. The Icon 600 is the first major upgrade in hardware from the Lifesize Dash software. Basically this is the nerve center for connecting your cameras, audio, and displays together. When you have a small group of people to include in a meeting and need to have live video along with live visual aid on another screen, this system is where you need to start. This kind of thing is good to get even if you don’t necessarily need to use this much equipment right now, because it can scale up very easily as your conference meeting requirements increase. The Icon 800 is the kind of all-stops-pulled showstopper type of device you need for big room presentations. 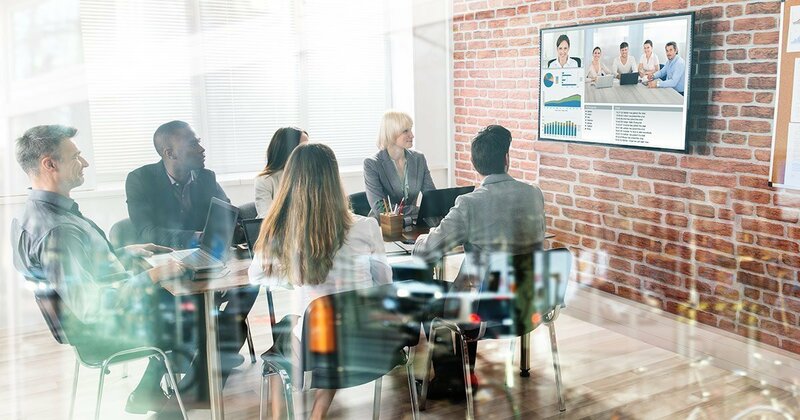 If you have multiple groups of people involved in a remote meeting, this device allows you to connect several cameras and mics throughout a large space, and gives you the ability to have several displays showing live video and screen sharing. You’ve got maximum flexibility with a system like this. Contact us today if you would like to set up a free consultation with an experienced video conferencing tech here at CIO Virtual Solutions.